Cucumber is rich in vitamins and minerals. It has Vitamin B that is good for your skin and hair. Vitamin B also helps to prevent both skin dehydration and inflammation. The Vitamin C in cucumber aids in the whitening and firming of the skin and it also helps to prevent black spots. Since young, watching actresses applying cucumber slices all over their face on television was a common sight. But I never knew what benefits it has and what it really does to the skin. Just last year, my aunt shared with me the idea of applying cucumber onto the face and she really stressed the lightening prowess of the cucumber paste and that her skin tone seems to get lighter after each application! And so of course I had to try! 1. 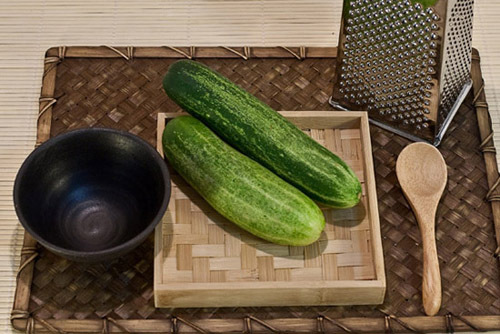 Refrigerate the cucumber for cooling effect. 2. Cut one quarter of the cooled cucumber. 4. 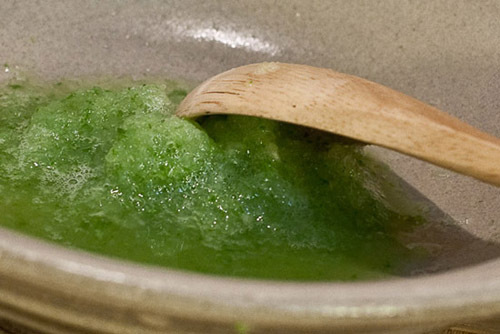 Apply the cucumber pulp on your face and leave it for 20mins. 5. Rinse with water and you’re done! 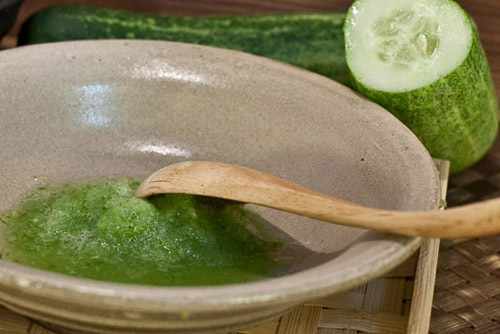 There are several ways to apply the cucumber pulp on your face. You can use a few facial cottons to soak up the cucumber pulp, squeeze gently to get rid of the excess juice and place them on your face. Or use a facial mask sheet, dip it into the pulp, squeeze it till it stops dripping and place it on your face. It can get a little messy as the cucumber juice will drip down to your neck and ears. So ready your towels by your side. Relax and enjoy! Can u refrigerate the excesss of and use it? 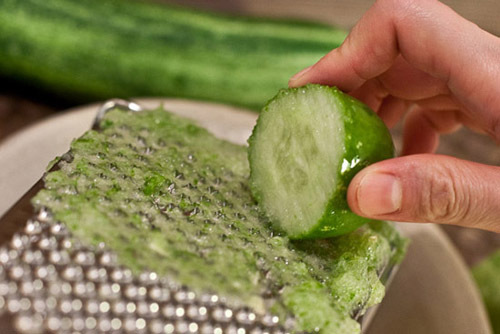 I have actually been using sliced cucumber to hydrate my skin and it works really well! although I haven’t tried grating it.. and I’ll try this one out! this sounds really good! How often should this mask be used? like once a week or so?